What Can The Cubs And White Sox Expect From Their Draft Picks? The MLB Amateur Draft will begin on Thursday night, and since I pay little to no attention to high school and college baseball, I’m not going to bother trying to break down possible picks for either the Cubs or Sox. Instead I’ll look at history to give us an idea of the future. Over the last two days I’ve ranked the first round draft picks of the Cubs and White Sox in the last 20 years. Long story short, while there have certainly been some hits, both teams have a bad track record in the first round. For every Chris Sale or Kerry Wood, there have been a lot more Hayden Simpsons and Lance Broadways. MLB Draft picks don’t have the same kind of success rate as other sports, but history shows that when you pick where the Sox (third) and Cubs (fourth) will be picking on Thursday, your odds of finding a good player improve drastically. As they should. How much? We’ll start by taking a look at the third overall pick. 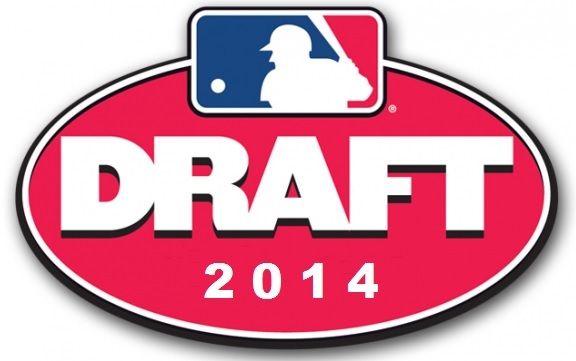 Since 1965 49 players have been taken in the June amateur draft third overall. Of those 49 players only nine have failed to play in the Majors at some point in their career. Of those nine players is last year’s third pick, Colorado’s Jon Gray. Now, if there’s a trend there to be wary of it’s that, if you don’t count Gray, three of the eight third picks that didn’t make MLB have come since 2000. Though I don’t know that it’s a trend you really need to concern yourself with. The truth is that overall there have been a lot of good players taken with the third pick. The 40 to reach the Majors have amassed a career WAR of 497.1 between them, or an average of 12.4 per Major Leaguer. Here’s a list of the top 10 No. 3 picks (by career WAR) since 1965. That’s a good list. It includes two Hall of Famers at the top, a possible future Hall of Famer in Evan Longoria, and multiple All-Stars. Other third picks that haven’t had enough time to rack up enough WAR to reach the top ten include Manny Machado, Eric Hosmer, Trevor Bauer and Mike Zunino. That said, there’s still something about the list that concerns me quite a bit. The White Sox are expected to take a pitcher with the third pick, and only one of the ten players listed above was a pitcher, and that was Joe Coleman who was drafted in 1965. Of course, that’s just the way the draft tends to work as pitchers are so much harder to project, and that’s why I greatly prefer using early picks on position players while trying to find pitchers later in the draft. What about the fourth pick? Well, the results there really aren’t all that different from the third. While only 39 of the 49 fourth picks since 1965 have reached the Majors (two less than the third pick), the ones that did make the Majors seemingly had better careers. Those 39 players combined for a career WAR of 549.7 (third pick was 497.1) for an average of 14.1 per player (compared to 12.4 for third picks). Here are the top ten No. 4 picks by career WAR. Get a load of this list. That’s a fantastic list overall, but the concern is that Ryan Zimmerman and Kerry Wood are the only players taken in the last 20 years. Things haven’t been nearly as productive in recent years, though the jury is still out on guys like Kohl Stewart (2013 Twins), Kevin Gausman (2012 Orioles), Dylan Bundy (2011 Orioles) and Christian Colon (2010 Royals). So what we can see by looking at the history of these picks is that while there are no guarantees, whoever the Cubs or Sox take in the first round on Thursday night has a very good shot at making the Majors. They also have have decent chance at becoming a pretty good player, particularly if they’re a position player. Hell, they might even become a Hall of Famer, as five of the 98 players taken at those two spots are currently in Cooperstown. A 5.1% HOF Rate (new stat I just made up!) may not seem like much to you, but compare that to the overall rate of how many players reach the Hall (there are currently 211 MLB players inducted into Cooperstown), and that 5% chance starts looking pretty damn good doesn’t it? So even if the draft history of the Sox and Cubs on their own doesn’t give us a lot of reasons to be optimistic, the the history of the spots that they’ll be drafting does. So tune in Thursday night. There’s a chance you could see the beginning of a Hall of Fame career. This entry was posted in Chicago Cubs, Chicago White Sox and tagged MLB Draft by Tom Fornelli. Bookmark the permalink.